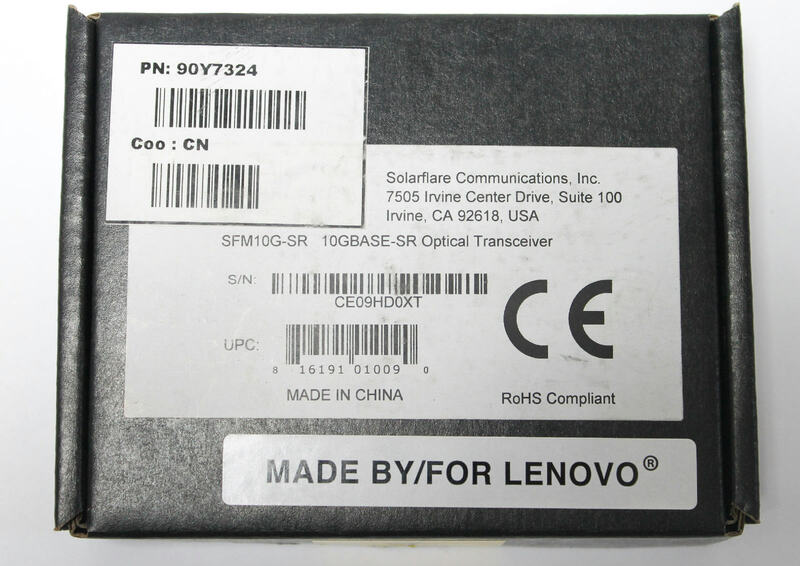 Up for sale is a Solarflare SFM10G-SR 10GBASE-SR 850nm Multimode 10 Gb/s SFP Transceiver. It is new in an open box. IBM/ Lenovo Part: 90Y7324. Solarflare: PLRXPL-SC-S43-SF. 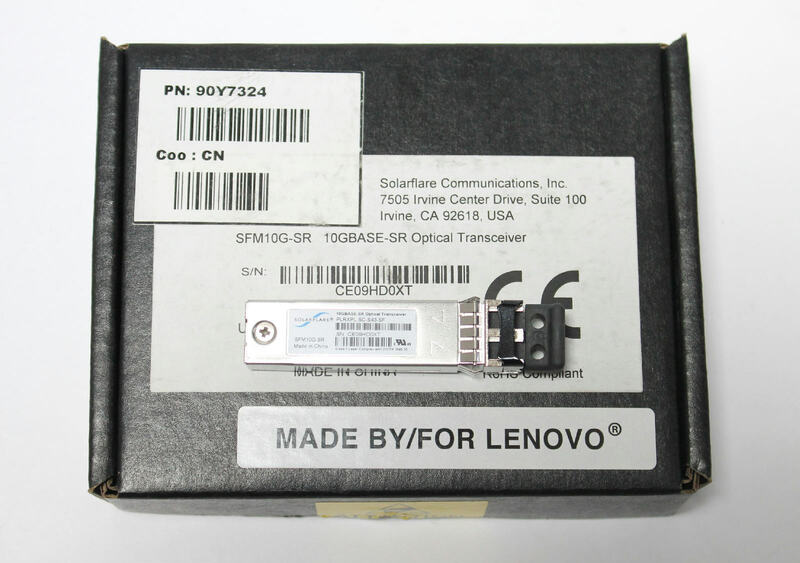 The SFM10G-SR 10GBASE-SR 850nm Multimode 10 Gb/s SFP+ Transceiver from Solarflare is a hot-pluggable SFP+ device for use in 10 Gb Ethernet links over multimode fiber. It is compliant with the SFF-8431, SFF-8432, and IEEE 802.3ae 10GBASE-SR specifications. The transceiver is RoHS compliant and lead-free per Directive 2002/95/EC6. The SFM10G-SR SFP+ transceiver module is compatible with single-port and dual-port SFP+ 10GbE server adapters. It supports up to 984.2' (300.0m) reach using standard LC connectors with OM3 MMF. The SFM10G-SR SFP+ transceiver enhances 10GbE SFP+ server adapter products by ensuring they deliver performance, low-latency, low-power, and scalable input/output virtualization. Combined with the SFM10G-SR transceiver, server adapters offer value for data centers, enterprise networks, virtualization and cloud applications, and high-performance computing (HPC) clusters.